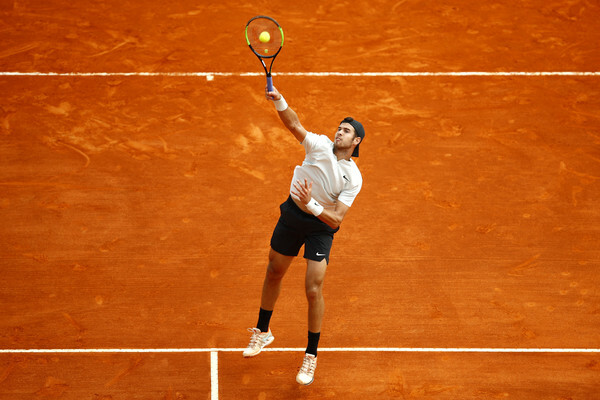 Karen Khachanov put in an amazing performance to oust Thanasi Kokkinakis in the opening round of the Monte Carlo Rolex Masters, prevailing in straight sets which earned him a spot in the second round. An intriguing clash between two young rising stars in the blockbuster first-round encounter at the Monte Carlo Rolex Masters saw Karen Khachanov putting in a terrific clay-court masterclass display to oust the resurgent and tricky talent in Thanasi Kokkinakis, triumphing 7-5, 6-4 after a marathon 110-minutes, which could be considered lengthy for a straight-sets encounter. 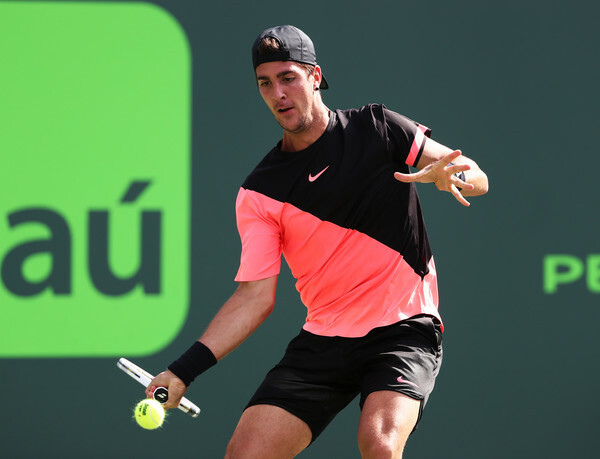 Kokkinakis recently showed signs of resurgence especially after defeating world number one Roger Federer at the Miami Open for the biggest victory of his career, while Khachanov suffered multiple disappointing defeats this year but seems to have found his groove on his favorite surface. Khachanov went 2/11 on break points throughout the encounter but the crucial factor was his bullet-like consistent serves which allowed him not to face a single break point in the match. The Russian will next face a Frenchman in either Gilles Simon or 16th seed Adrian Mannarino. Both players started the match pretty well, firing some impressive winners with this slowly shaping up to be an outstanding contest. Khachanov produced some clinical returns and earned break points though Kokkinakis was simply too good during the crucial moments, fending off multiple break points and ultimately surviving the tough service game with a fantastic forehand winner on game point. A string of service holds followed while Kokkinakis continued to face problems on his serve, but nonetheless, he remained nerveless and kept himself in contention with several impressive saves. After several close shaves, the Australian finally let loose and Khachanov benefitted from his opponent’s inability to find his first serves, making the first breakthrough to earn the golden opportunity to serve out the set. Handling the pressure well, Khachanov comfortably served out the set 7-5 with an unreturnable serve. It was a poor opening set on serve for Kokkinakis, who won just a mere 65 percent of points behind his shaky first serves while facing six break points in total. Four consecutive holds opened the second set though Khachanov was having it his way during his service games, with Kokkinakis not being able to find answers to the Russian’s consistent play. Yet another monstrous forehand aided him in saving a break point, although this time it just wasn’t meant to be, with the world number 40 prevailing in a marathon game which lasted 14 points to lead by a set and a break. Holding onto his lead, Khachanov eventually claimed the excellent win after an hour and 50 minutes, firing down yet another powerful unreturnable serve on his first match point. The forehand wing from both players was a masterclass during the match, although it was the Russian who prevailed in the narrowest of margins. Khachanov looked flawless on serve, not conceding any points behind his powerful first serves in the second set and losing just 19 points on serve in total.